Sarah Fine has quickly become one of my favorite authors simply because she writes so well and those stories that she writes, can always be counted on to be something different and something special. It's no wonder with the different genres she writes in and the unique worlds that she can create that all her books stand out and make people notice them. From the gorgeous covers to the creative writing style, they truly are just fabulous. 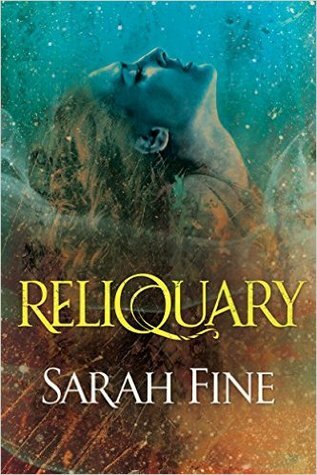 And while Reliquary wasn't a favorite of mine, it still had all the qualities that I've come to love and appreciate in Fine's stories. Still packed full of magic, uniqueness, and characters that demand to be remembered her latest in a new series is something that I think can appeal to a lot of fantasy lovers. Do try her, she really is great. All her books have fabulous covers. Hmm, I have this earmarked for audio, maybe I will hold off to see how book two fairs. Thanks for your honest review Ali. Of course and I'm hoping it will be even better. It's on Netgalley now so I'm sure more reviews will start coming in for it. Glad you enjoyed this even if it wasn't your favorite from her!! Out of curiosity, which Fine book is your fave? I loved her Sanctum series but it is darker so it isn't for everyone but it will always be my favorite. I adored her Of Metal and Rust duology too though, it was a spin on a classic and she did so wonderful with it. I didn't connect with Fine's other adult book so I'm a bit hesitant to pick this one up. I think I'll try one of her YA series instead. Both her YA series are my favorites so definitely try them! I have yet to read any of her books. I think I almost requested this one, but stopped myself. You should try one of her others for sure, they are all fabulous but her YAs have always been my favorites. I am sad to see that you didn't enjoy this one as much as you have Fine's other books. Fine is also one of my favorites and I am excited to read this book but I'll go in with lowered expectations! I've yet to try her but all my friends like her. Sorry it was a fave but they can't all be right! That definitely sounds like an interesting story. Not your fave, but still good? Oh not all can be winners but this still speaks well about her writing. I so need to read this book. I have been enjoying fantasy so much more lately. Her books are hit and miss for me but the ones I've loved I've REALLY loved so I'm always wiling to give her books a try! Sorry this one didn't wow, but I'm glad you still enjoyed. Definitely try it because you just never know! I keep thinking it's a part of a series! Oh, but why do I get the feeling you weren't really feeling this book? Definitely finish the one you started though, they are my favorites. Great review Ali! 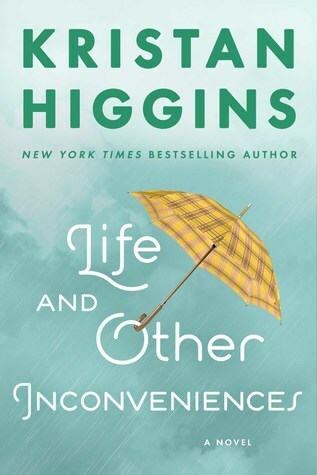 Sorry this wasn't as good as her other works -- I actually just purchased the first book in one of her other series because I've heard such rave reviews so I'm excited to read it. Have a great 4th!! I hope you love it and thank you, I hope you have a great one as well! Sorry this one wasn't a bit better for you, but I'm glad you liked it! I need to try this author already. Whenever I do, I think I won't start with this one though. 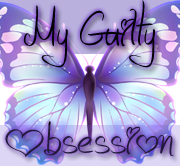 Do try her, she is a good writer and I do love her mysteries and characters. Her first book was fabulous. It's unfortunate it's not better! The blurb makes it look darn exciting - I like the whole ''kidnapping'' thing. Great thoughts! Sounds pretty okay. Not sure if three stars is enough to convince me though. Interesting premise, hopefully it gets better as it goes along. Love the cover but the story just sounds okay.